Ah, olive oil. 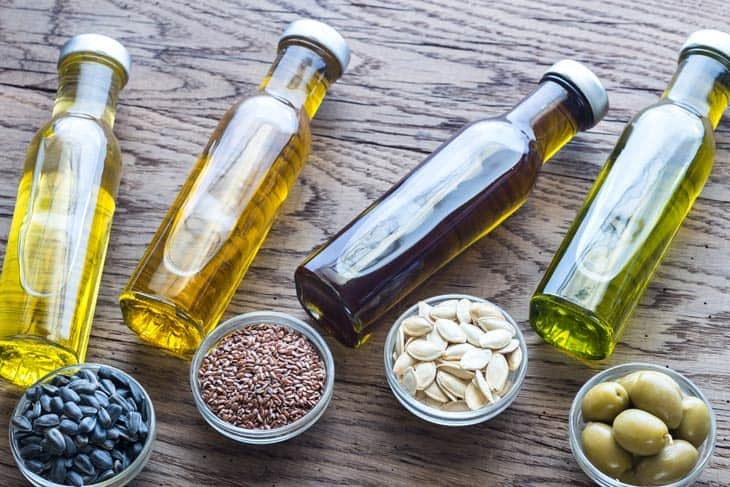 Where would the different kinds of food be without olive oil? With olive oil, you get a wide range of benefits for your food. Olive oil acts, not just as an oil designed to cook your food better, but also a seasoning designed to further add flavor to your food. In addition to this, olive oil is also regarded as the healthy option. With olive oil, you also become more able to score benefits for your well being. Olive oil reduces the risk of a big spectrum of health issues such as cholesterol and other heart problems. Unfortunately, olive oil usually comes in a bottle with no mister or spray function attached to the bottle. This can be really hard for you when you are pouring the oil from the bottle onto the cooking pan. First of all, you may have a bit of a difficulty trying to regulate and control the quantity of the oil you are going to use. That said, I've rounded off 5 best olive oils sprayer which can solve this problem. Why Choose an Olive Sprayer? 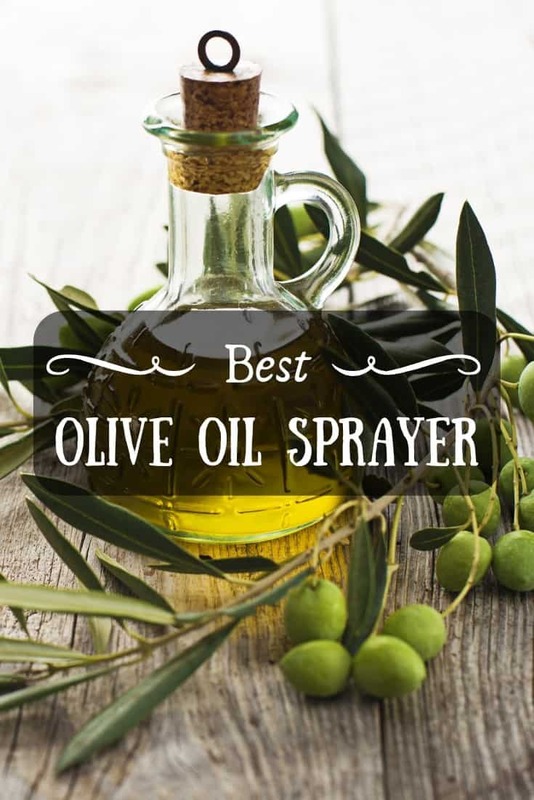 What Makes an Olive Sprayer Excellent? First up on the list is most certainly one of my top faves! This oil sprayer brought to you by Miso if of the highest quality given its non-aerosol nature that does not feature any chemical propellants. No matter what type of cookware you use, this is okay to use especially non-stick cookware. In addition to this, the sprayer by Misto also features this special filter that will not just let you use this for cooking oil or any liquid but also with spices such as herbs allowing you to sprinkle flavors all throughout your culinary masterpieces. Just an essential reminder for you though, hold the sprayer vertically to attain the best results. Next up on the list, you got Maybest’s Olive Oil sprayer brought to you in a sturdy glass structure. Much like the previous entry, this Olive Oil sprayer is also versatile. With it, you can also use a wide span of ingredients such as vinegar, soy sauce and sunflower oil among all others. In addition to that, this sprayer can also work as a good alternative for brushes whenever you're seasoning a dish with something — be it when roasting, baking, sauteing or simply cooking. 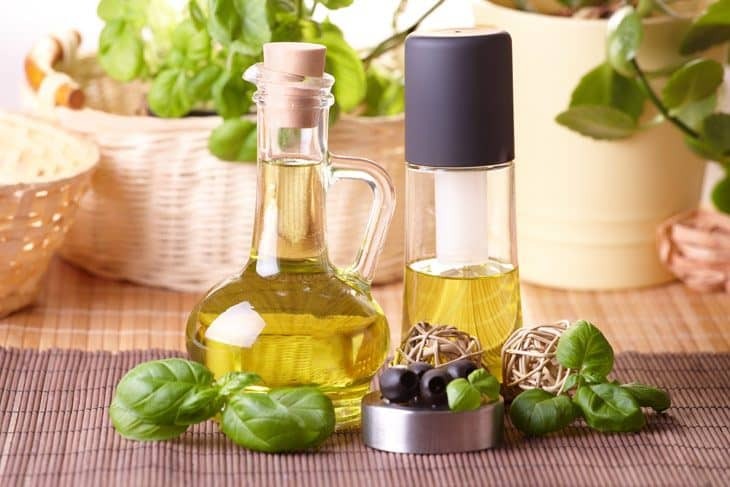 Additionally, this transparent glass looking bottle comes in a very sturdy stainless steel structure making it one of the most durable olive oil sprayer. The Olive Oil sprayer by PRS INC is truly regarded as one of the best dispensers. Much like the previous ones, this spray or dispenser is indeed durable what with its strong stainless steel structure. One thing I most appreciated about this product is that it allows you to do simple steps to operate it. All you need it to do a very easy action of suction and then — boom — you’re on your way to spraying a mist of olive oil to your dish. This simple action also allows you to have a more spread out coating of the olive oil. I also want to put emphasis on its sleek design. With a metallic bottom and and top kade of silver, it truly is top of the line. We’re down with two but this item is definitely not at the bottom. The Olive Oil sprayer by Newfit comes with unique features. First, it comes with a compact structure. It does not clog and is perfectly resistant against leakage. It also will not slip away from, your grip considering how it uses an anti skid design. In terms of ease of use, all you have to do with this product is pump and before you know it, you’re already misting away. Lastly, it also comes with assurance since you get two pipes which you can replace with. 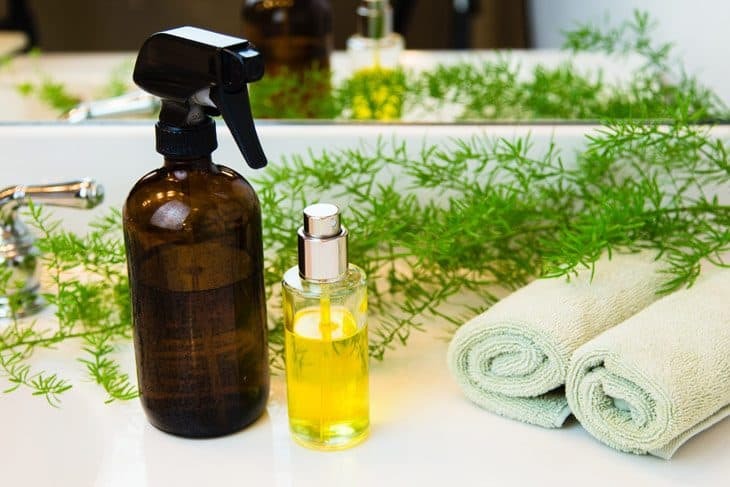 A non-aerosol sprayer, the Olive Oil mister by The Fine Life is regarded as one of the most reliable sprayers. It releases a fine mist of olive oil and allows you to fill up about two inches. With more space left, you are allowed to pump up more pressure. Furthermore, it comes with a shape that allows you to have a good grip on it. Additionally, this olive oil sprayer is also resistant to potential damages such as leakage, vulnerable breakage or splatter. Lastly, it isn’t made of glass which can worry other people or users. It gives you control over the quantity you will use. 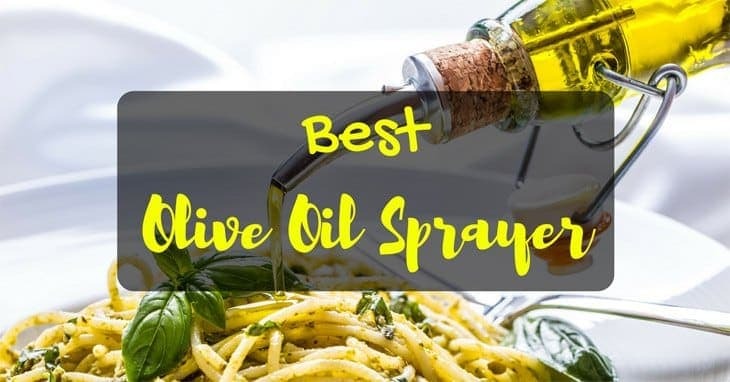 The first and foremost that an olive oil sprayer brings is that it allows you to take control over the specific amount of olive oil you want to use. You see, if the olive oil merely comes from the bottle, you will have a hard time controlling the amount of olive oil that will come out of the bottle. If this olive oil gets filtered through a sprayer or mister, all the more that you get to control the amount of oil that will come out. This prevents you from over pouring which is a common mishap when it comes to cooking and using oil. It allows you to evenly season your cooking pan. As most of you know, coating your pan, especially if it is not non-stick, is a crucial step before cooking any meal or dish on your cooking pan. This is because without proper coating, food can just easily stick to the pan. This is especially true for newly bought cooking pans. Additionally, this is also another reason why an even seasoning is a must for your cooking pans. If you seasoned your pan but left some parts unseasoned, food can still stick to the other parts of the pan. With a sprayer, you can ensure that the seasoning and coating will be even as well as just the right amount. It lets you add flavoring to other food dishes easily. In addition to being used as a coating and seasoning for the different cooking pans and being used as a cooking oil, olive oil also acts as a seasoning substance to food dishes such as salad. It can add a layer to that umami flavor of a number of dishes. Case in point, with salad or kale. When you add flavoring to salad dishes, of course, you do not want them to come in bulk. Instead, you want to them to come in little amounts. Hence, this is why adding mist of olive oil is the only acceptable way of adding flavoring to olive oil. Any method other than this may be too overwhelming. Perhaps, one of the most essential factor you should take into consideration when looking at a sprayer unit is its ability itself to mist or spray. This factor is what you call the mechanism of the function of spraying. Different units can use different systems of spraying. For one, you can have a sprayer that utilizes spraying unite that is of the aerosol type. This type typically works in a way that the oil is dispensed into a liquid cloud. However, what you should really look for are sprayers with a system that allows you to let out a steady mist of oil. It is also more preferred if the coating is even regardless of how long or short the spray is. These factors can some secondary, however, they are still regarded as a crucial aspect. With a sprayer, you are still going to need to transfer the product from the oil bottle onto the sprayer itself. That said, it is best to find a sprayer with a size and capacity for storage that is similar or very close to that of your original oil bottle. If you cannot, the next best thing you can really do is to check the storage capacity, on its own. If it holds a decent amount of oil then the most probable conclusion is that you are good to go. Also keep in mind not to go overboard. Everytime you run out of olive oil and that your sprayer needs to be refilled, you are going to have to clean your sprayer unit. This is to ensure, first and foremost, that cleanliness is maintained. In addition to cleanliness, this is to ensure consistency of the olive oil. If you had changed your brand of olive oil and have added it up to the sprayer unit without even cleaning it, both olive oil brands will mix up with each other. As a result, this can mess up with their consistency. The very thing this will affect is the flavor quality. With that being said, it is very essential that the sprayer unit is easy to disassemble so that you can clean it easily. Lastly, the design of your sprayer unite must be of convenience to you. In short, they have to have what you call an ergonomic design. By actively scouting for designs that have this particular character is, stay away from spraying units have handles that are difficult to grip, handles that are a little slippery or those that have caps that are had to seal up close. For smooth usage of your oil sprayer, knowing the proper steps to operate it is a must. In this section, I’ll be giving you a brief introduction on how to start using your oil sprayer. Happy spraying! Dishwashing Liquid. For this tutorial, you will be needing a trusty liquid dish soap. This allows you to thoroughly clean your materials. Drying Towel. After washing your dishes and equipments, you can dry them out with kitchen towels. In some cases, this is much better than letting your materials to air dry. Disassemble the parts of your oil sprayer or mister. To properly operate and start using your oil sprayer, you first have to take your sprayer apart to be able to clean them. After all, an item straight out of the factory may be covered in a lot of dirt. Fill your sprayer halfway with your dishwashing liquid. This step is essential to cleaning your oil sprayer. After filling your sprayer, shake it while covering the opening with your hand to make sure that all corners are covered with the soap. Set the sprayer aside and let it soak up the soap. Wash the other parts with the dishwashing liquid. Aside from the actual body of your oil sprayer, you must also wash with soap your lid as well as the pump. Rinse and reassemble. After washing all the parts, it’s time to rinse them all with water. You can let them air dry but if you want to use it them immediately, you can use a drying towel to do so. You may reassemble them after all parts have been dried out. Prime your oil sprayer before using. And we’re down to the last step. In most cases, there will be a lever that you may locate just on top of the cap screw. Use the primer to pump up and down until you are already finding it a little difficult to pump. It usually takes around ten pumps before you can spray. Best olive oil sprayer is none other than Olive Oil Sprayer for Cooking, Oil Mister Dispenser Bottle by Maybest. It is versatile since you can use other ingredients with this bottle. Additionally, it is also easy to use and thus easy to clean. Just a simple pump will do for the former. As for the latter, all you have to do is unscrew the cap then rinse with warm water plus detergent. Lastly, for the sake of convenience, it also easy to grip and bring anywhere.